Mohamed in early May, recuperating at his home after being shot five times by Salt Lake officers near the shelter. Abdullahi "Abdi" Mohamed was hit by a double-whammy on Monday. District Attorney Sim Gill announced that his office had ruled Mohamed's shooting by two officers in mid February this year as what cops call "a good shoot," or in the DA's parlance as "justified." In-step with Gill's announcement, prosecutors filed a petition with the juvenile court to try Mohamed as an adult for first-degree felony aggravated robbery and second-degree felony drug possession with intent to distribute. You can read the full charges here. Mohamed's criminal defense attorneys at the Utah Juvenile Defender Office declined to comment on the decision. The shooting on Rio Grande Street has proved to be one of the most divisive and controversial police uses of deadly force in recent memory, in great part because Mohamed was 17 when he was shot. The DA painted the shooting as officers acting to defend or save the life of a man who Mohamed was described as beating with a metal stick over a drug-related argument. 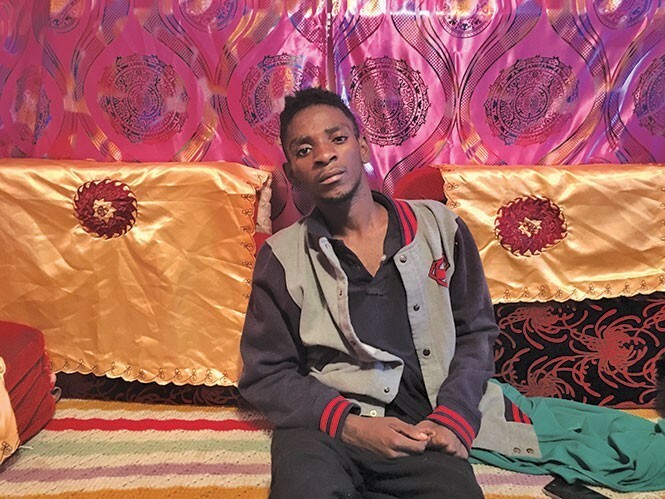 Mohamed told City Weekly in an early May 2016 interview that he had gone to the shelter to see friends and had been forced to defend himself against a man armed with a knife. When he'd heard the officers shout to drop the stick, he said he turned around and that was when when the police shot him. Salt Lake City Police Chief Mike Brown and Mayor Jackie Biskupski both issued press releases acknowledging what the mayor called "a thorough and independent investigation." Biskupski noted, "This was a serious incident, and has been justifiably scrutinized heavily by multiple parties." She added that changes had already been wrought, notably "increased de-escalation training, and changes to the Police Civilian Review Board." Gill described the highly controversial shooting, which triggered a riot at the shelter, and has since become a focal point for protests about police brutality and concerns by minorities over excessive use of force, as "unlike any other," his department had investigated. That's because of several factors, notably that Mohamed was a juvenile (he's since turned 18) when shot, and multiple calls for release of the body camera footage. Because prosecutors intend to pursue charges against Mohamed, the body cam footage captured during the shooting will still not be released to the public, Gill says, as it is "material evidence in a criminal prosecution." 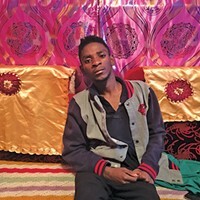 In the meantime, Mohamed, who has to rely on a wheelchair to move around, faces not only the uphill battle of recuperating and overcoming the damage done to particularly his spine by the shooting, but now also the possibility of criminal charges. To support his office's findings, Gill also asked both the FBI and a private law firm, Martinelli & Associates, which specializes in use of force issues, to review the incident. Both the FBI and the attorneys concluded the shooting was justified. The DA's statement provides a detailed breakdown of the events culled from its investigation. The officers shot Mohamed not because he was a threat to them, but rather because he refused to obey commands to drop a thin, bent metal broom handle he was using to beat an unarmed man identified in the report as K.M. According to the report, two Salt Lake City Police Department officers, Kory Checketts and Jordan Winegar, had gone to the shelter to investigate a stolen iPhone when they came across two individuals attacking a third. K.M. told investigators he had gone to the shelter for food, had been approached by Mohamed—identified in the report only as "the juvenile"—to sell him meth. When K.M. refused to give Mohamed the dollar he had, the youth took a metal rake K.M. offered him instead, and hit him with it several times. A second individual then approached, who K.M. felt was a friend of Mohamed's, and said he would hurt K.M. The DA identified the second assailant as John Uziogwe. The report states that K.M. had large welts and bruises on his right arm, forearms and his back. K.M. told investigators that he felt Mohamed could have "very easily killed him." There was "a look of determination on his face" like "he wanted to blast [K.M] and hit a home run." He felt his life was in danger and the officers had "put themselves in jeopardy to protect him," the DA stated in its report. However, another individual interviewed by investigators painted a different scenario, one more in keeping with what Mohamed told City Weekly, namely that he had been defending himself from attack. While Mohamed said that the man had a knife, DA Gill said at the press conference that no weapon had been found at the scene. The witness, called M.W., told investigators a white man had approached Mohamed and the latter had tried to get away. The white man was "antagonizing" Mohamed, according to the report, and he "wanted to get away" from him. "M.W. said he saw the juvenile pick up a stick to 'defend himself.' M.W. said he saw police officers running up to the juvenile with their guns drawn." But according to the investigators, parts of whose reports were included in the report the DA released on Aug. 8, it was Mohamed and Uziogwe who were the aggressors. The report states that the two would-be assailants dragged their metal poles along the ground, creating a "metallic" sound, as they advanced on the retreating K.M. 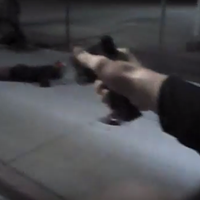 Both officers, according to their body camera footage, the report continues, called out multiple times to Mohamed and Uziogwe to drop the sticks. Checketts shouted, "Put it down now! Put it down now! Police! Drop it! Drop it! Hey! Drop it now! Put it down! Put it down! Put it down! Stop!" Uziogwe complied, walked away, and was not charged, but Mohamed did not. The report states that Mohamed raised up the stick, then turned his head toward the officers, and at that point they fired. Gill said police fired four rounds, but the number of wounds Mohamed's body bears—described in the report—indicate five. Both officers were asked in interviews why they didn't use their Tasers rather than their firearms. Checketts said he felt the gun was more reliable to protect the victim, that Tasers aren't 100 percent reliable, and that "a Taser is better employed for someone who is suicidal to prevent injury to himself, or someone who is passively or actively resisting arrest or commands." He felt he needed to get closer to Mohamed and stay closer if he was going to use his Taser and that given the latter's actions and how close he was to K.M. the Taser wasn't viable. As an angry crowd approached and, according to the report, encircled the officers in the wake of the shooting, they struggled to get medical attention to Mohamed. Winegar, "expected someone in the crowd to start shooting at the officers given the anger in the crowd." Winegar told investigators he stayed close to Mohamed to try to help him. During his interview, Officer Checketts "became emotional discussing the need to get medical attention to the juvenile and his inability to provide medical assistance due to the volatile nature of the crowd." Gill told reporters that his office had not been in touch with Mohamed or his family since early on in the shooting. Indeed Mohamed's side of the story was inevitably absent from the DA's report. The DA made several references in juvenile court to charging Mohamed, his attorneys told City Weekly. During his interview with a Weekly reporter, Mohamed expressed both his innocence and faith in the witnesses he would bring to tell what happened, if he were to face prosecution in the future. "I don't know what they are going to charge me with," he said. "I didn't do anything. I know I didn't." A judge decided today he'll remain in the juvenile system. The release of bodycam footage of the police shooting of a 17-year-old raises only more questions. 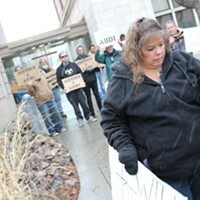 After 30-day appeals period, footage could see light of day.